A sports coupé that delivers exhilarating performance with bold, head-turning design. Behind its muscular and aggressive stance, the RC's short-wheel base and rigid chassis offer both exceptional handling and agility. This distinctive four-seater coupé is available with a high performance petrol or hybrid engine, so you can configure exactly the RC you wish. A new front bumper corner flows smoothly down from the headlamps and a grille mesh pattern gradually transforms from top to bottom. Vertically arranged extra-small triple LED headlamps and new L-shaped LED clearance lamps add to the car’s sharper more distinguished appearance. Inside the cabin, everything from the high-quality materials to the precise layout of controls and gauges was crafted with Lexus Takumi craftsmanship to maximize driving pleasure. With characteristics derived from the LC, the new RC is sharper and more refined than ever. Details such as a new fin shape in the side window mouldings and a duct in the rear bumper, give the car better handling stability and enhanced aerodynamics. Inside the car, a soothing ambient lighting system illuminates upward to bathe the cabin in soft light. The door trim lighting automatically adjusts to suit driving conditions. A new analogue clock, identical to the one in the LC, sits high on the instrument panel. With the new Lexus Safety System +, the RC benefits from an outstandingly comprehensive preventative package, including Pre-Collision System with Pedestrian Detection, Lane Departure Alert with Lane Tracing Assist, Automatic High Beam, Dynamic Radar Cruise Control and Road Sign Assist. The exquisite F-Aluminium cabin trim on the RC F SPORT Models was inspired by the swirling patterns on traditional Japanese sword blades. The F SPORT also features an exclusive black trim around the grille mesh and windows. 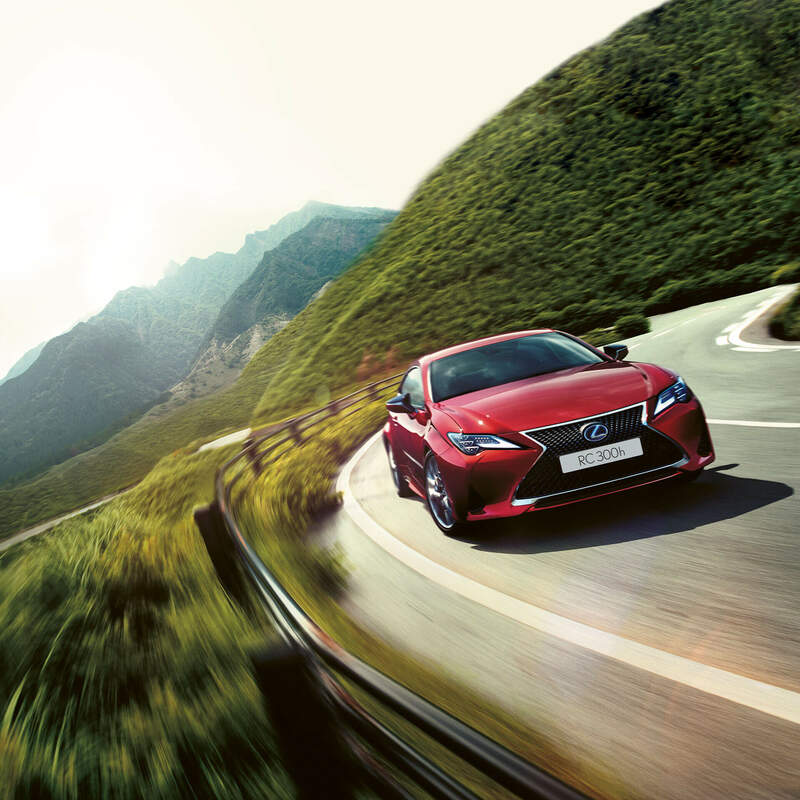 With its driver-focused cockpit, muscular styling and beautifully crafted interior, the Lexus RC is an irresistible balance of high performance and pure refinement. If ever a sports coupé was engineered to stir the soul, the RC may just be the one to do it. Discover the RC from all angles.